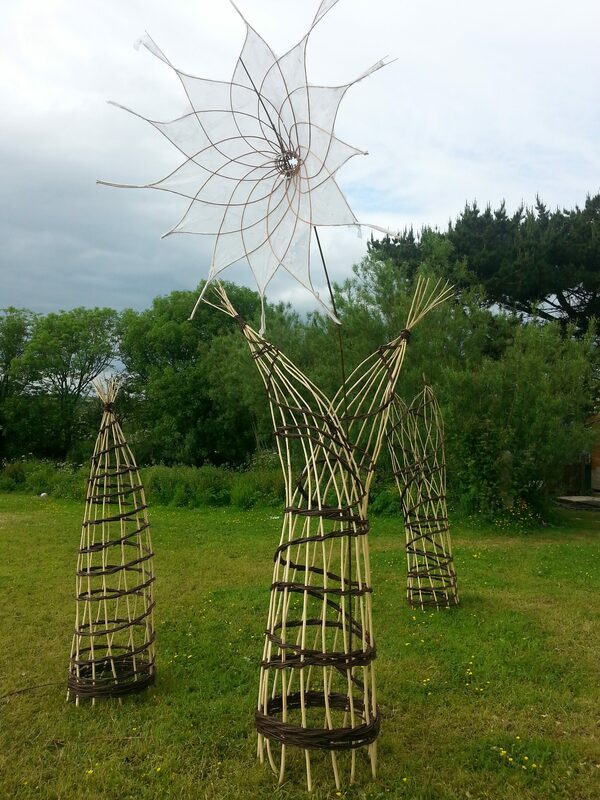 These garden structures are made using some of the willows from my withy garden at Kenneggy Downs. To prolong their life, the columns can be used as supports for climbing plants. As the willow disintegrates the climbers will take over. 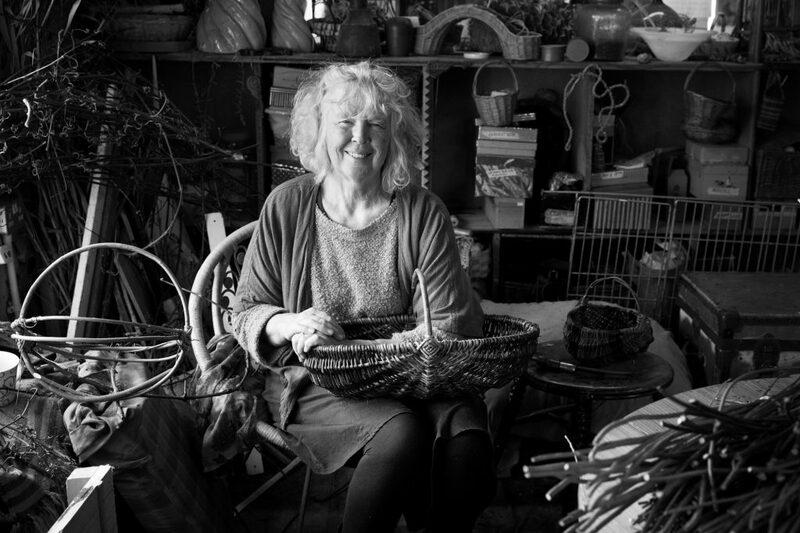 I have been weaving on the top floor of Salt Cellar Workshops, Porthleven for over 25 years looking out over the harbour with winter gales lashing at the windows or summer sunsets over the sea and fishing boats passing. 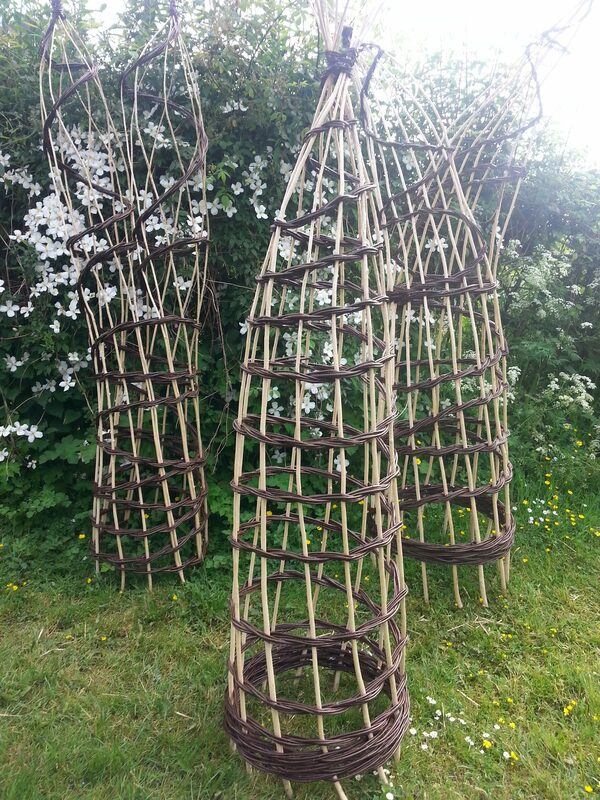 My work these days is often less to do with baskets and more to do with creating structure and form, often applying basketry techniques to very different materials from my home grown basket willows- examples can be seen at Salt Cellar Workshops. I find the craft of basketry endlessly interesting and spend as much time as possible exploring the basketry culture of other countries and learning new techniques from local makers. I also enjoy maintaining my own patch of willows and using the crop every year. 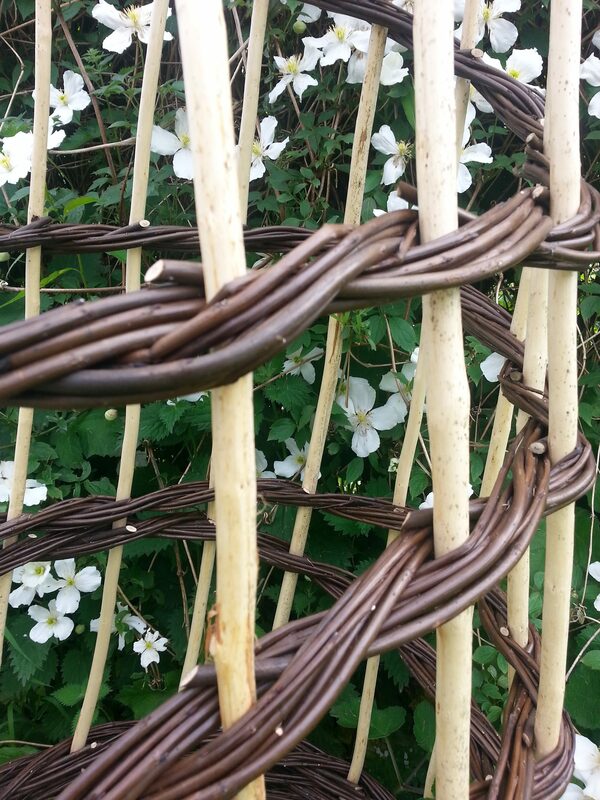 I strip the bark from the willows to make the white sticks, whilst darker colours are produced by steaming the willow with the bark still attached.